"Well, I don't want to boast, but we might be somewhere in London, hmm?" 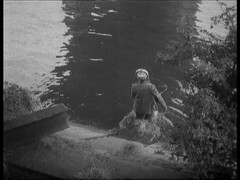 We open with a human wearing a silver helmet walking off some steps into a river. Shortly afterwards the Tardis materialises where he had been. Ian & Barbara are pleased to be back on earth. 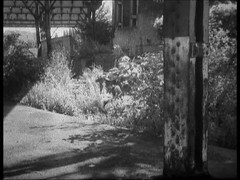 The area is deserted and overgrown: Ian wonders if it's a Sunday. Susan climbs up to get a better view, but falls and twists her ankle. She has disturbed decaying masonry which causes the bridge they're standing under to collapse, burying the Tardis. 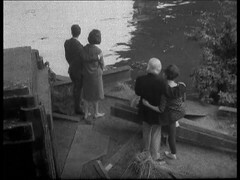 The Doctor is worried that they might not be in Ian & Barbara's time: There's no sound, birdsong, people, shipping on the river, no clock bells. 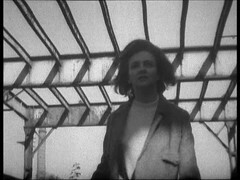 Susan is struggling to walk so the Doctor & Ian leave her with Barbara while they go to visit a nearby warehouse in search of cutting gear to get through the rubble into the Tardis. 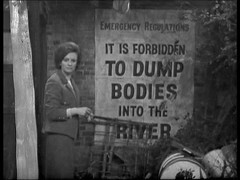 Barbara finds a sign on the bridge wall: Emergency Regulations: It is forbidden to dump bodies in the river. 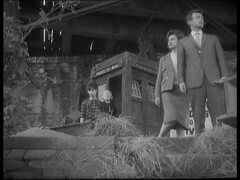 Ian & the Doctor are being watched as they move round the musty warehouse. Looking out of the window Ian notices that Battersea Power station lies derelict and missing two of it's four chimneys. The Doctor finds a calender dated 2164. 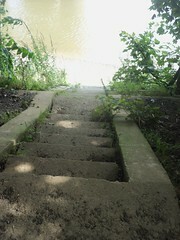 While fetching water to bathe Susan's ankle Barbara sees a body in the river. Returning quickly to Susan she finds her gone. A man is waiting for her and tells her Susan is with someone called Tyler. He tells her, over the sound of Gunfire that they must get out of there. 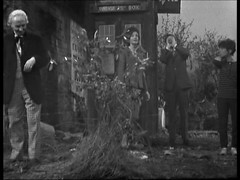 The Doctor & Ian hear the gunfire too: they also find a body with the same strange head gear we saw earlier. The Doctor thinks the head gear is some kind of radio receiver. 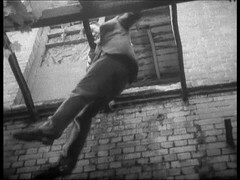 The dead man is carrying a whip and had been stabbed. 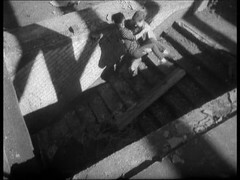 They hear movement and investigate, but Ian is nearly killed when he steps out of a door and the stairway under him collapses. Their observer emerges from hiding. 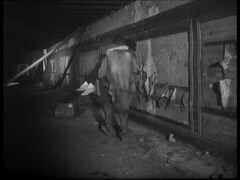 Susan, being carried, and Barbara race through London finding shelter in an old Underground station. 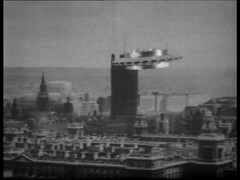 The Doctor & Ian observe a flying saucer over London. Susan is worried about the Doctor: their rescuer, Tyler, says they will try to help them. 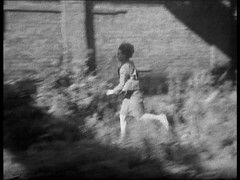 Returning to the Tardis landing site Ian & the Doctor discover Barbara and Susan gone. Tyler's friend, David, has struggled with a Roboman at their storehouse. It was David who saw the Doctor & Ian and is going to go and help them. 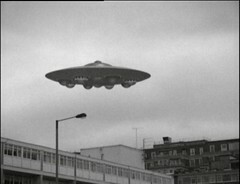 They meet Dortmun, confined to a wheelchair, who has heard that a saucer has landed and plans to attack it. Ian finds the poster Barbara saw earlier and thinks there may have been a plague. 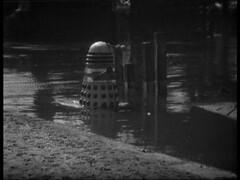 David, returning to the waterfront, spots the Doctor & Ian but is unable to get to them as Robomen approach and surround the two men. Unable to escape they turn and prepare to dive into the water. But as they do a familiar shape slowly emerges: A Dalek! Fantastic episode. 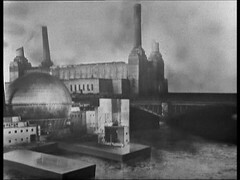 A great atmosphere with the deserted London scenes helped no end by some location filming which involves the whole cast, unlike Reign of Terror's where only The Doctor appears and even than a stand in is used for William Hartnell. 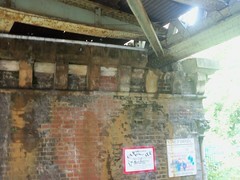 We start off very close to where I use to live in West London under Kew Railway Bridge. I'd been over the top of this location on a District Line Underground train many times without realising Doctor Who had filmed there! First we see the Roboman plunge into the river here: I like the look of the Robomen with their helmets, featuring a silver skull cap and bars down the sides of the head being reminiscent of the Cybermen design, at this point nearly two years in the future. 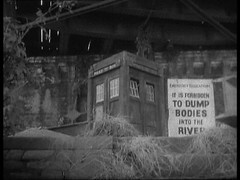 ....before we switch to a recreation of it in the studio, necessary for having the bridge collapse down round the Tardis. They have missed a small trick here: the Tardis is positioned at angle on location but becomes straight to the bridge and the river in the studio! Since Kew is only just down the road from where my Mum lives, my son Jonathan and I paid the location a visit on 27th August 2014, 50 years to the day after Doctor Who filmed there! 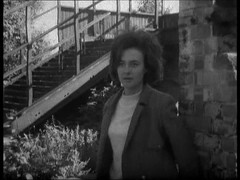 It's not the only association with the Underground in this episode either: Much of Barbara's flight is filmed at the former Wood Lane Central Line Station, close to TV Centre. The site stood disused for many years and is now under the Westfield Shopping Centre. See Wikipedia for more details and pages one and two of www.abandonedstations.org.uk/'s guide to the site for pictures. 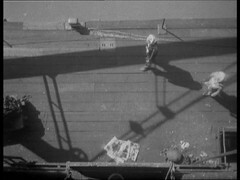 The Doctor and Ian's trip to the warehouse is filmed in East London at St Katherine's Dock, used again by Doctor Who many years later for the 1977's Talons of Weng Chiang. 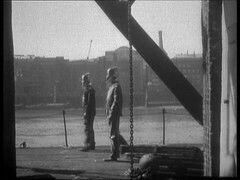 The Robomen closing in on them is filmed at Iron Gate Wharf with Butler's Wharf, on the other side of the Thames, visible in some shots. 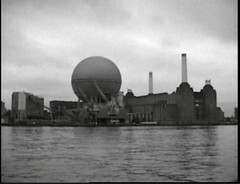 Doctor Who would film there for 1984's Resurrection of the Daleks. Finally Queen's Wharf in Hammersmith is the location where the Dalek comes out the water with the Doctor & Ian's reactions being recorded in the BBC's nearby Riverside Studios. You know, Doctor, I reckon that flying saucer disappeared somewhere over the other side of the river, in the direction of Sloane Square. Somewhere over there, anyway. But then the view of Battersea Power Station makes you think they are on the North side of the Thames! Fortunately there is a point in London where you would get that sort of view of Power Station and still be on the south side of the River: the Tardis must have landed under Vauxhall Bridge! 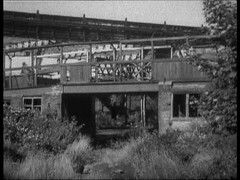 The Location sequences for this episode were all filmed on Thursday 27th August 1964. Unfortunately these sequences caused problems with some players and indeed when I went to get the screengrabs for this episode, of which there are a great number and I make no apologies for that, I found that the CGI sequences did indeed crash my copy of VLC Media player! 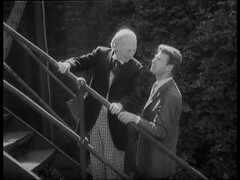 Making his Doctor Who debut in this episode is Bernard Kay as Tyler. 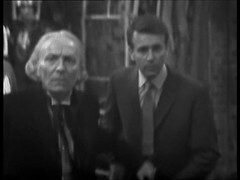 He'll be back as Saladin in The Crusade later this season before appearing as Inspector Crossland in The Faceless Ones with the Second Doctor, Patrick Troughton, and as Caldwell in Colony in Space with the Third, Jon Pertwee. You can hear him interviewed on Toby Hadoke's Who Round #18. Also making his debut here amongst the extras for this episode in the Freedom Fighters HQ is a name that will be familiar to anyone who's ever looked at a Doctor Who cast list: Pat Gorman , uncredited, plays one of the Freedom Fighters. 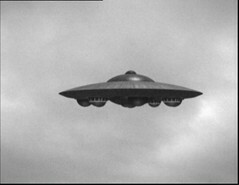 He'll return in Myth Makers, War Machines, Enemy of the World, The Invasion, The War Games, The Silurians, The Ambassadors of Death, Inferno, Terror of the Autons, Colony in Space, The Daemons, Day of the Daleks, Sea Devils, Three Doctors, Frontier in Space, The Green Death, Invasion of the Dinosaurs, Monster of Peladon, Robot, Genesis of the Daleks, Revenge of the Cybermen, Seeds of Doom, Masque of Mandragora, Deadly Assassin, Invisible Enemy, Ribos Operation, Armageddon Factor, City of Death, Warrior's Gate, Keeper of Traken, Enlightenment, Caves of Androzani & Attack of the Cybermen. His been a variety of guards, army officers, monsters and Cybermen but your best chance of spotting him is in Planet of the Spiders episode two where he's the mechanic at the UNIT vehicle store. He's probably been in more Doctor Who stories and played more Doctor Who characters than anyone else! 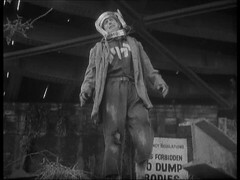 Meanwhile the suicidal Roboman is played by Kenton Moore who returns as Noah in The Ark in Space. Having said that I'm not 100% sure about IMDB's cast listing for this episode as the Revolting Prisoner is either in this episode or episode 6 and I'm pretty sure there's no Egyptian Warrior in this story and suspect that's a misplaced credit for Dalek Masterplan! This story has a great number of firsts for Doctor Who: I'm going to look at at least one per episode. 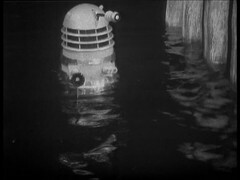 Here I've chosen the end of episode 1 and the shock reveal of the Dalek. This starts a trend for Doctor Who stories where the close of the first episode of a Dalek story reveals a Dalek in some form. Here they rise up out the sea, in The Chase they emerge from the sand. 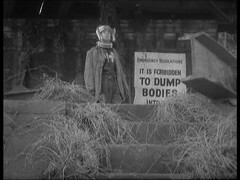 The Dalek Masterplan finds them emerging from behind the Tardis, in Power of the Daleks they are found immobilised in their spaceship while in Evil one materialises in the antiques shop. 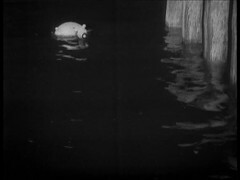 Day of the Daleks features a Dalek materialising again, this time in a tunnel, while Planet has the "spray painting an invisible Dalek" sequence. In Death they emerge from their spaceship and fire their weapons (the trick here being the weapons are discovered to be useless at the start of the next episode). The end of Genesis part 1 shows Davros testing his creation while Destiny's Daleks crashing through a wall terrified me as a child. 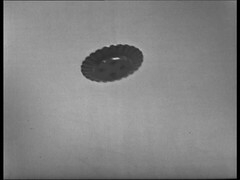 Resurrection & Revelation don't have the typical episode structure, but Revelation has a Dalek emerging out the darkness and chasing the Doctor up a staircase. Not all of these are the Daleks' introduction to the story, in several of them we or the Doctor have already seen them. But they all have a big dramatic impact in their reveal of the Daleks. The ending of the the episode does give the episode a sort of neat circular elegance. 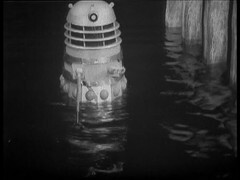 We begin with a Roboman going into The Thames and end with a Dalek coming out of it! 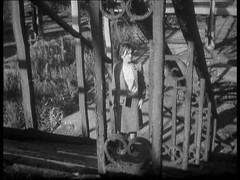 There's another first associated with this episode though: broadcast on 21st November 1964, exactly 52 weeks after the broadcast of An Unearthly Child, it's the Doctor Who episode broadcast closest to the show's first birthday!